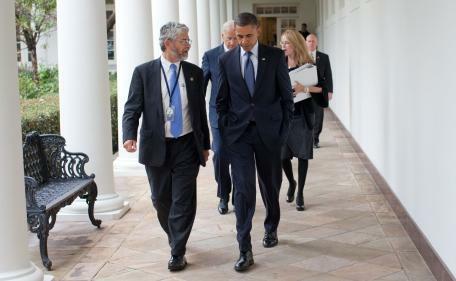 Last week, I had an interview with John Holdren, (the Chief Science and Technology advisor of President Barack Obama) on the issue of climate change. This week, John tells me all about how it is to work with Obama himself! John met Obama before his presidency when Obama was still a U.S. senator. John has a very interesting story on how it all started with a private dinner and how he eventually became the the Chief Science and Technology advisor of President Barack Obama. John was a professor at Harvard and the director of the Woodshole Research Center, but when he got the job in the Obama administration he had to abandon all of that. He says that you officially have no time off, no weekends & no vacation. How did it affect his work-life balance? How was it to be the Head of the White House Office of Science & Technology Policy? What did John do every day for 8 years? What were Obama’s thoughts on climate science? How knowledgeable was Obama? Obama really cared about science & technology, which some argue is different with Trump. Next week I will talk about this with John Holdren and we will discuss the Paris Agreement & president Trump. From Verizon to Comcast Xfinity: 10x faster internet for half the price! What’s hot in Nantucket politics? Select Board member Matt explains!